Yes my friends, it’s time to cosy on down, light the fire and rustle in some leaves- helllloooo AUTUMN! How to celebrate? With cake obviously. 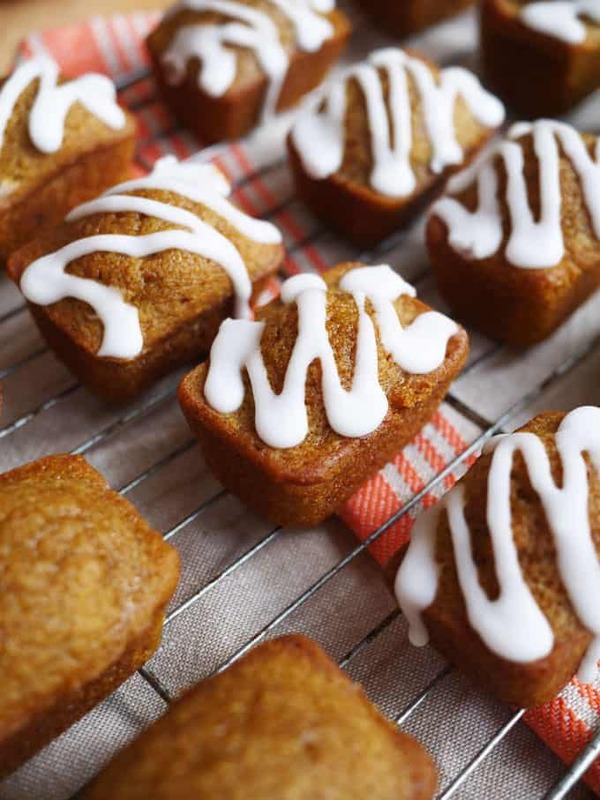 These Mini Pumpkin Bread Loaves fill the house with wafts of cinnamon and spice, the perfect welcome for fall. A little bit spicy, a little bit warming, that golden autumn colour, perfect for sharing – these are my favourite taste of autumn. Sharing is just what I did.. Do you remember that this year I’ve been posting cakes for six of my dearest pals each month? (You can see the first recipe I did and read about it here: Daim Bar Cookies and Cake Club.) These were the little treats I sent out to them all at the end of September. Happy autumn my cake club girls! So, on to the recipe nitty gritty. If you’re secretly a bit of a lazy baker like me, looking for easy ways to make things look impressive, a mini loaf tin is a win. Hardly any extra effort for really striking little cakes. My tin was not cheap at about £15, but it’s worth investing in a good heavy one as the cakes will pop out easily. 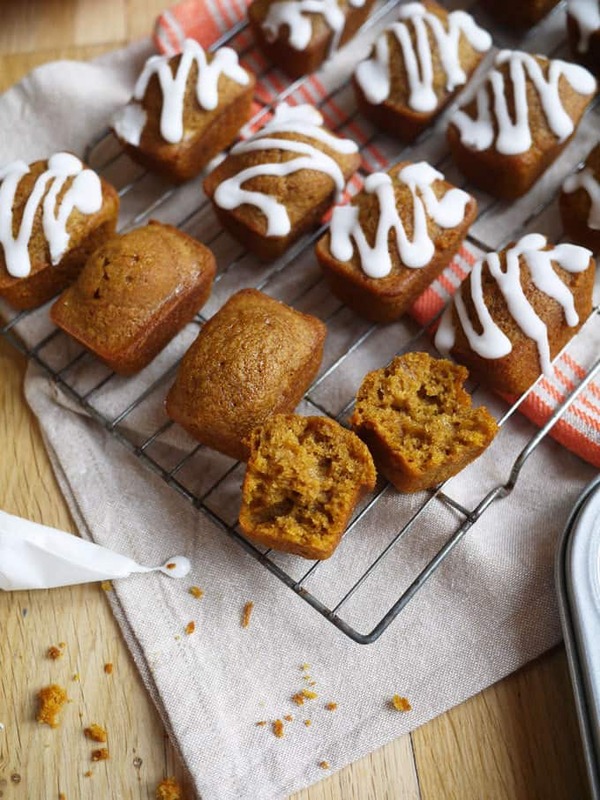 Mini Pumpkin Bread Loaves fill the house with wafts of cinnamon and spice, the perfect welcome for fall and a great snack. Grease the mini loaf pans with butter, being sure to get into all of the corners. Mix together the pumpkin, sugars, oil, water, eggs and lemon zest. Beat until combined. In another bowl sift together the flour, baking powder, salt and spices. Add the dry ingredients to the wet ingredients and fold in until just combined. Spoon into each of the loaf tin sections, filling about two thirds of the way. Don't overfill or your loaves will be difficult to get out and look a bit wonky. Bake for 20 minutes or until a skewer comes out clean. Allow to cool for a few minutes and ease out the loaves allowing them to continue cooling on a wire rack. Rinse the tin and repeat the greasing, filling and baking. Do this until you've finished using all of the batter. When all cool, make the icing with the icing sugar and enough of the lemon juice to make a thick paste. Drizzle or pipe over the cakes and allow to set. Happy season of leaves and pumpkins and log fires to you all.. What’s the taste of autumn for you? This post was a sponsored post collaboration with Waitrose and part of their #AutumnWarmers campaign. 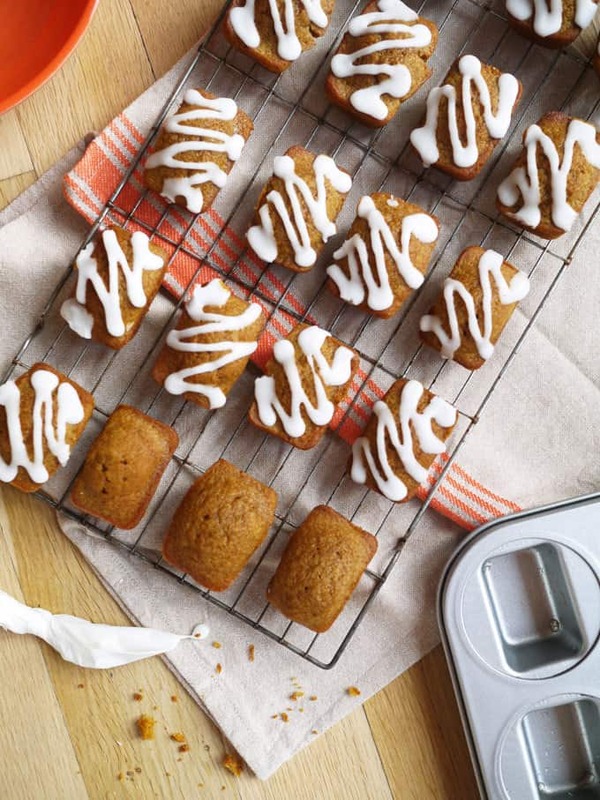 Find more autumnal recipe inspiration on their website: Waitrose.com. 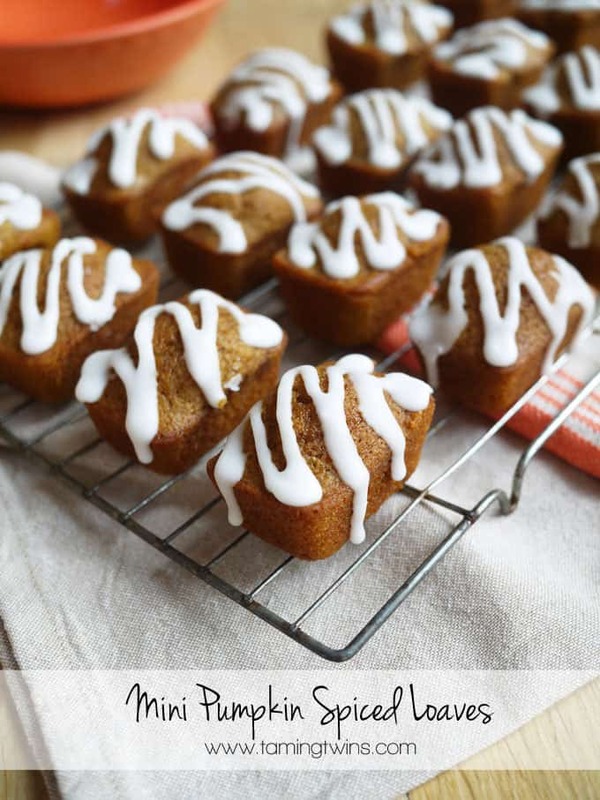 These look so gorgeous Sarah and you KNOW I can’t get enough pumpkin! Putting a mini loaf pan on my Christmas list! Sarah, I’ll take one of those with a nice strong cup of Assam with just a splash of milk! I am one of the fab recipients of the monthly cake delivery! It’s been such a treat over the the past year to eceuve these little boxes of delight! 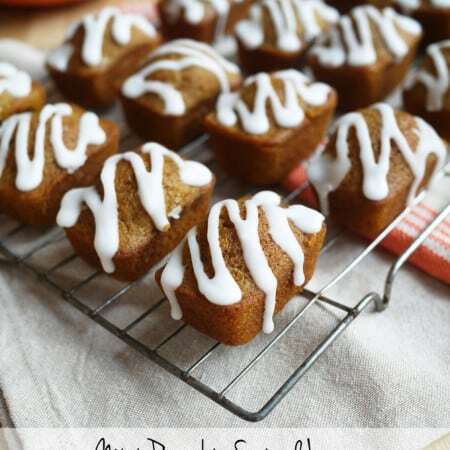 These pumpkin loaves are just gorgeous! I bet they would go down a treat on bonfire night too! Aww thank you for letting me know Alison, I love hearing when people have enjoyed my recipes! Hi my name is Kuenia, i’m brasilian, i’m so exited to do this recipe, looks delcious… to grease the mini loaf pans i use only butter? ou butter and flour? And can i mix together the pumpkin, sugars, oil, water, eggs and lemon zest in the hands? or i use a food mixer? These look amazing and I definitely want to bake these. I was wondering though, with this recipe would you be able to make a big one out of it? Yep, they should be fine to freeze!